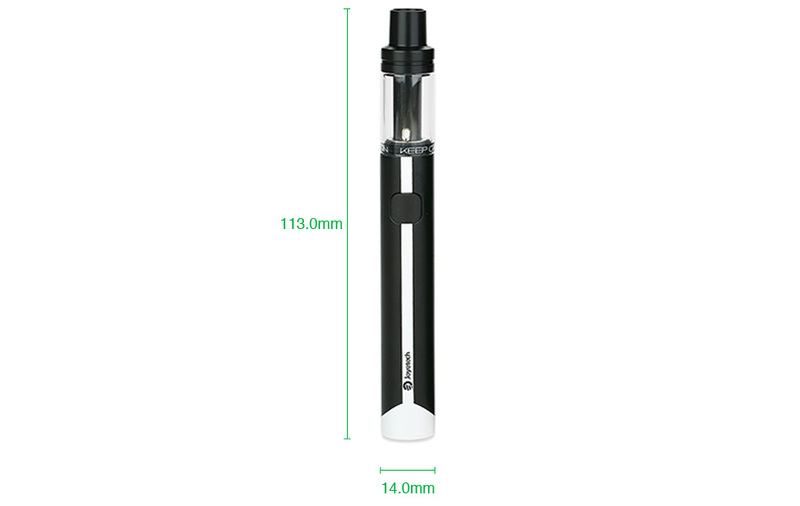 Joyetech eGo AIO ECO is a compact all-in-one style vaping kit powered by ECO technology. It comes with 650mAh battery and 1.2ml capacity. eGo AIO ECO works perfectly under low wattage, optimized for high nicotine. 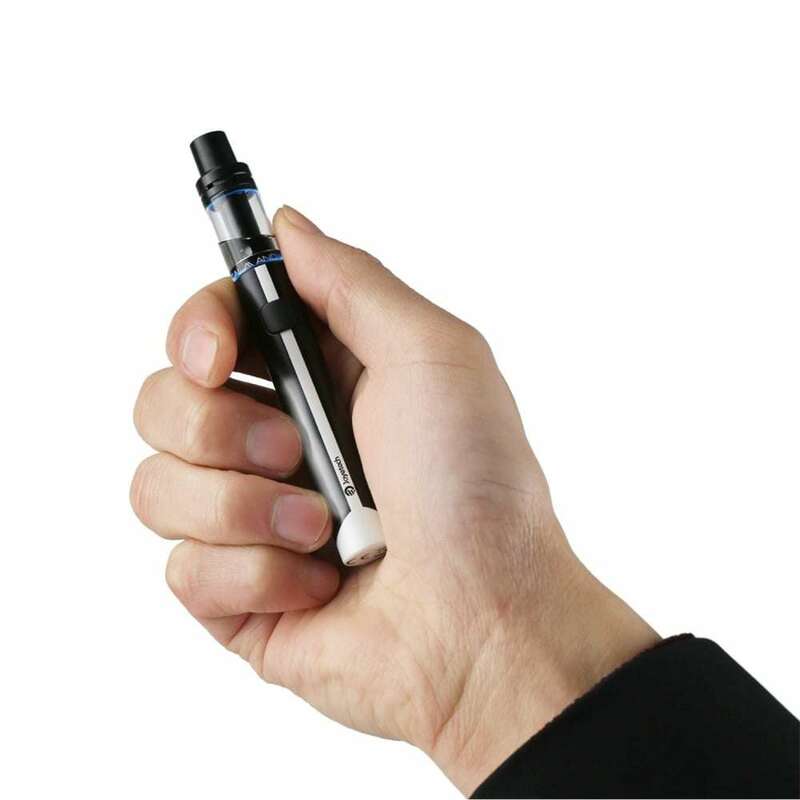 Joyetech eGo AIO ECO is a portable all-in-one vaping device powered by ECO technology. 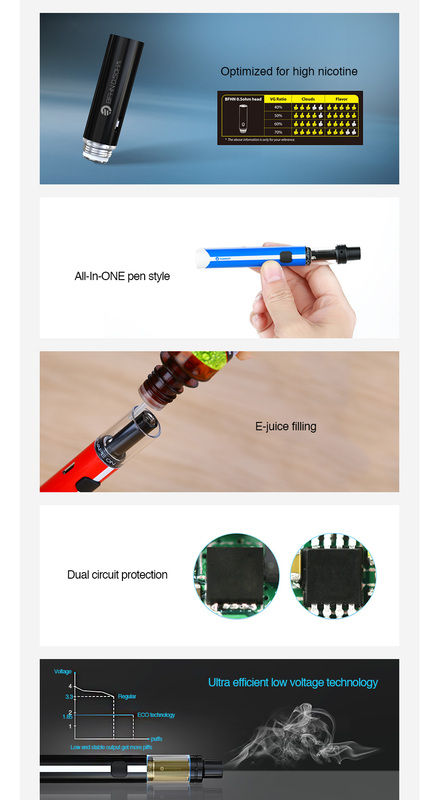 It has built-in 650mAh battery capacity and 1.2ml tank capacity, which are capable of long-lasting using. It comes with a brand-new BFHN 0.5ohm head, which can work perfectly under 6-8W low wattage. 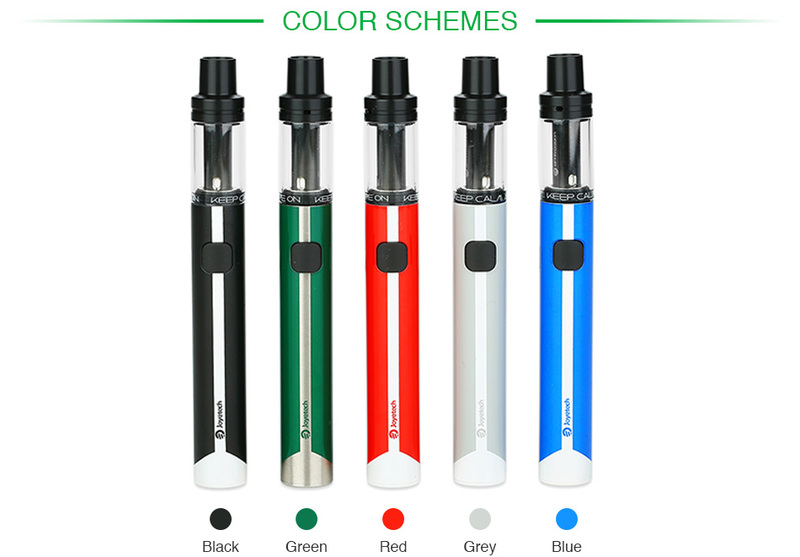 It also features top airflow & top refill system and 7 colorful LED light. The eGo AIO ECO is optimized for high nicotine vaping. Empty tank. Optimized for high nicotine e-liquid or high nicotine salt e-juice. 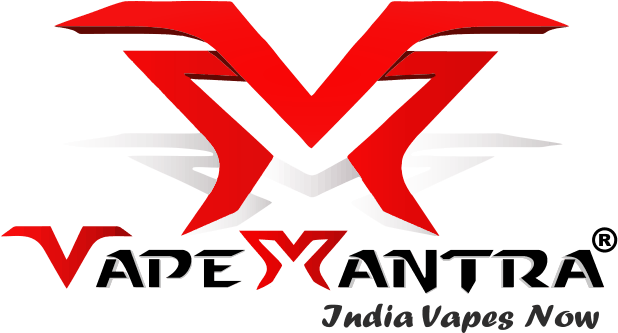 The battery is capable of about 350 puffs per charge; the tank is capable of approx 150 puffs. Very easy to use product at an amazing price. As someone who is vaping for the first time and finding a good solution to quit smoking, this product is the go too device without spending a whole bunch of money. The device is quite ergonomical. However, I have been getting frequent flooding/dry hit issues and these could be because of the coils. 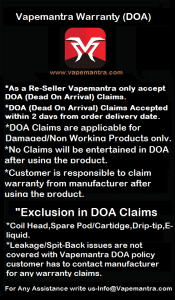 I have changed liquids (50/50), swapped coils etc, but I am left disappointed.